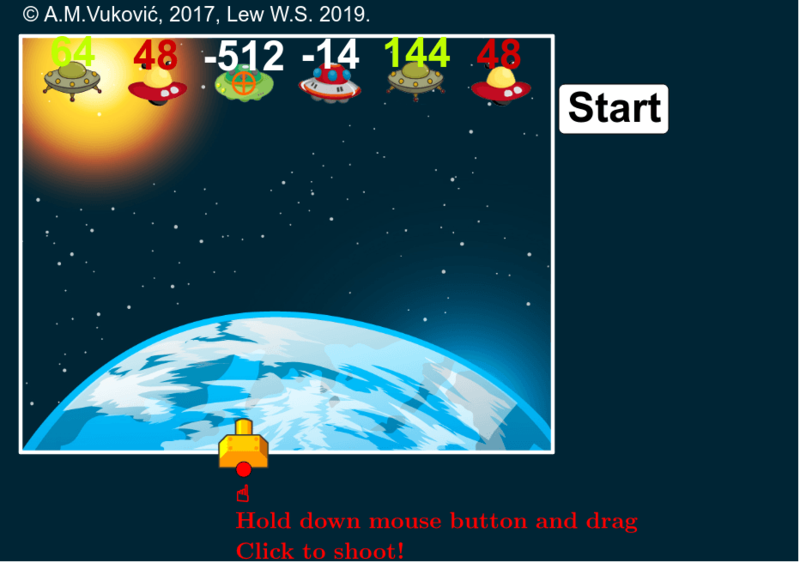 Prevent the invasion of spaceships by solving given math tasks correctly. Spaceships are destroyed by shooting from the cannon which you can move with the red triangle shaped point. You shoot by clicking the cannon.